I completely underrated Stockholm. 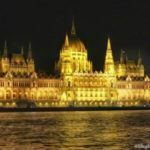 My attention was on perennial European favorites like Paris and London and up-and-coming places like Budapest and Romania. 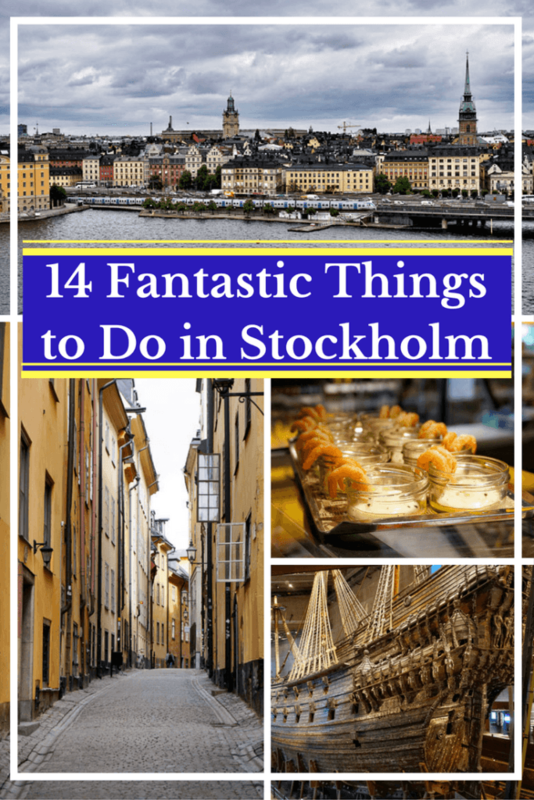 So, imagine my surprise as I slowly discovered all the things to do in Stockholm and wondered how and why it hadn’t been more front and center on my radar. Words like clean, pretty, and smart come to mind when most of us think of Scandinavian countries like Sweden. Stockholm is no exception whether we’re talking about its streets, architecture, people, or culture. But, it’s Stockholm’s understated vibe and effortless elegance that draws you in. Stockholm is welcoming. It’s situated on 14 islands alongside the waters of Lake Malaren and the Baltic Sea, with its 57 bridges serving as links. Even as a first-time visitor, the city feels familiar and easy, like catching up with an old friend. Stockholm’s sensible balance of old and new, chic and classic, not only distinguishes it from other Nordic capitals but stirs up a lasting fondness that entices visitors to return. Stockholm has plenty to offer all its visitors, whether it’s a first visit or not. 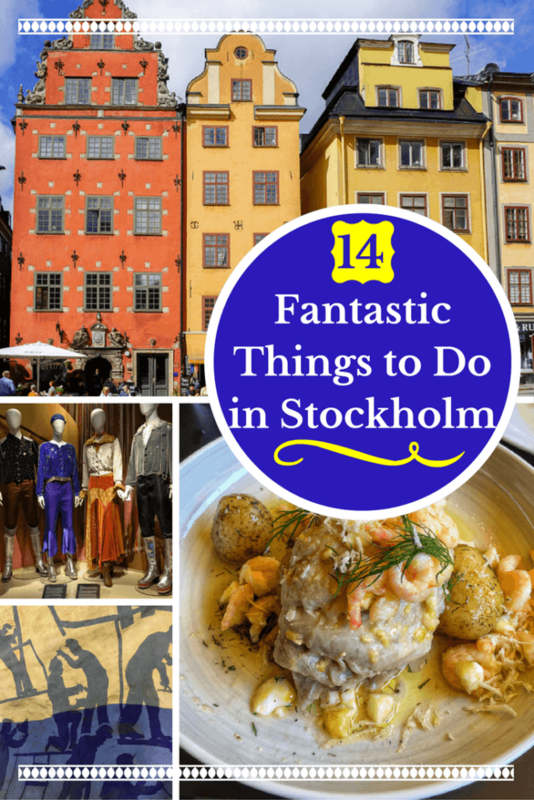 The list below of Stockholm things to do would make for a fantastic Stockholm trip, regardless! 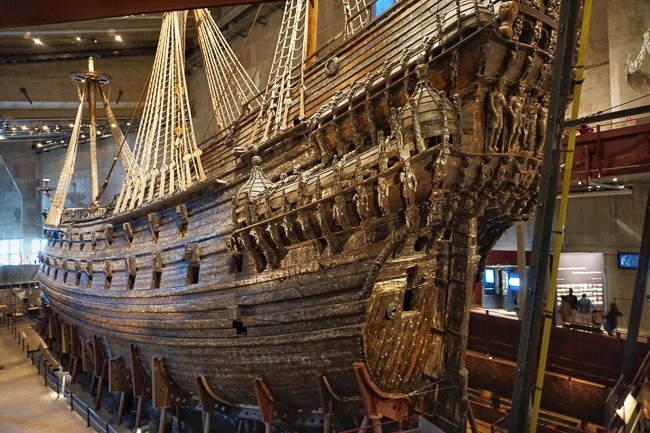 You don’t have to be a museum-lover to be totally awed by the Vasa Museum! The Vasa is a 17th-century ship that sunk on its maiden voyage in 1628. The ship was top-heavy and had a second row of cannon portholes too close to the water. When the ship began to list, water rushed in and sank the Vasa in just over 100 feet of water right in Stockholm’s harbor. After more than 300 years submerged in the cold, brackish waters of the Baltic Sea, the Vasa was pulled to the surface. It has since undergone decades of preservation and restoration. Visitors to the custom built museum can admire the Vasa, which is more than 95% original. You can see the ship from the museum’s different levels, as well as learn about the crew artifacts and skeletal remains discovered along with the ship. Make time to see the Vasa no matter how many days are part of your Stockholm itinerary. It’s that incredible. Pro Tip: Go when the museum first opens. The Vasa is a top Stockholm sight and crowds form quickly. Use your Stockholm Pass to save money and quick and easy entry! 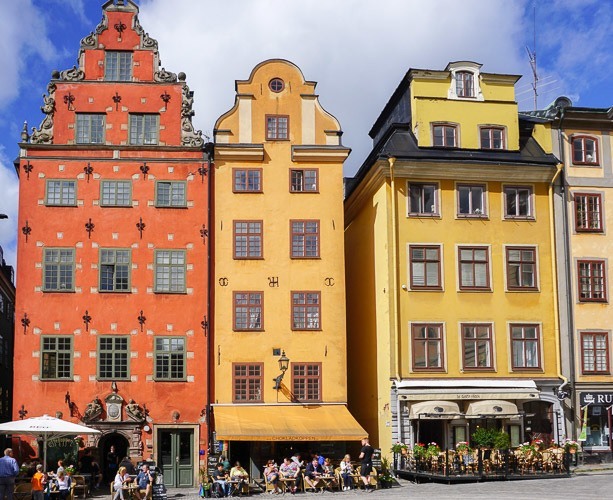 Meaning “old town” in Swedish, Gamla Stan’s narrow winding streets and alleys are lined with shops, eateries, and history. The architecture is from centuries past and gushing with old world charm. Begin in or find your way to Stortorget, the public square lined with classic, colorful merchant houses. Stroll along (without your map) and simply take in the enchanting atmosphere. 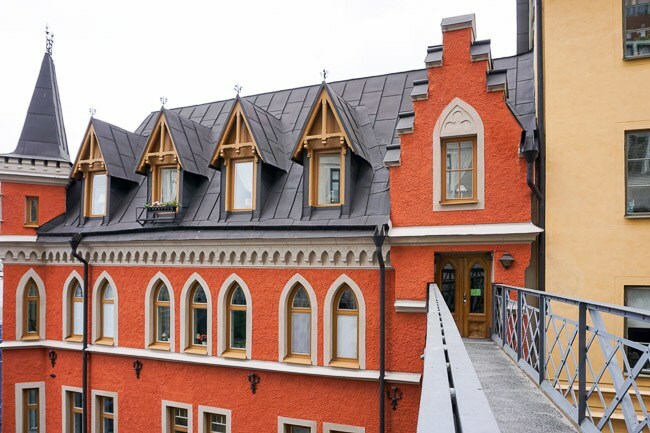 Located in Gamla Stan, the Royal Palace welcomes visitors to glimpse several of the 600 Palace rooms. The present-day Palace was built in the 1700s after an older castle was burned in a fire. It is the official residence of Sweden’s King and Queen, as well as home to government offices. Visitors can walk through the public areas on their own or opt to take a guided tour. Highlights include the state reception rooms and the Queen’s silver throne. 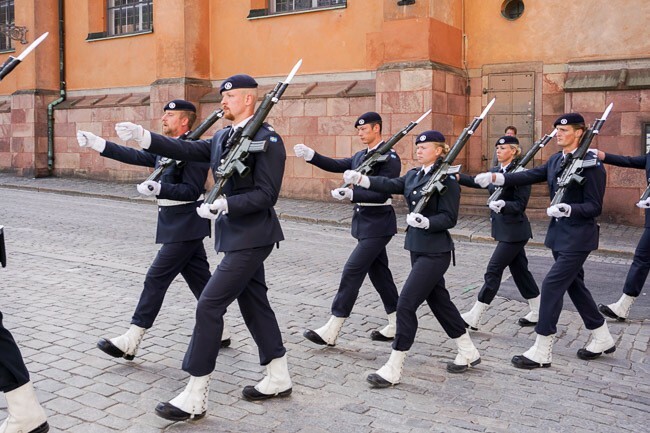 Pro Tip: Time your visit for the Changing of the Guard, which happens every day. The full ceremony is best seen between May and August. This is the oldest church in Gamla Stan dating back to 1279 and located near the Royal Palace. 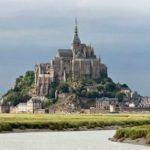 The brick design combined with the wooden carvings and sculptures make this Cathedral unlike many others made of stone found in western European cities. Most notable is the carving of St. George and the Dragon. 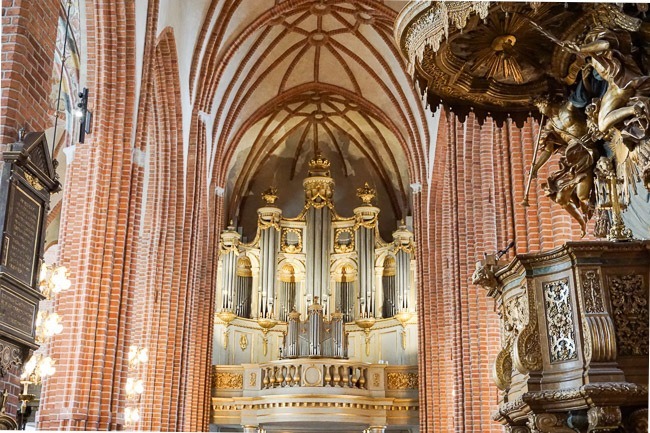 Overall, it was interesting to see the smooth silver pipes on the organ, the rough-faced bricks, and the ornate wooden carvings blending in the same space for a design all its own. You must have fika or simply fika while you’re in Stockholm. Swedes love and value their coffee breaks or fika. Tea can serve as a substitute for non-coffee drinkers. A baked sweet treat alongside your beverage is a must. You might rush to think fika is just another coffee break. However, fika speaks to the belief in the Swedish culture of slowing down, even pausing. It’s a daily ritual, perhaps happening more than once. Fika is all about taking a break and savoring the moment, the exact opposite of running with a cup of coffee in hand. Whether you’re in Stockholm for a day or a week, do as the Swedes do and fika. Not a gallery in the traditional sense, but rather on the walls of Stockholm’s subway (a.k.a T-Bana) corridors, platforms, and stations. 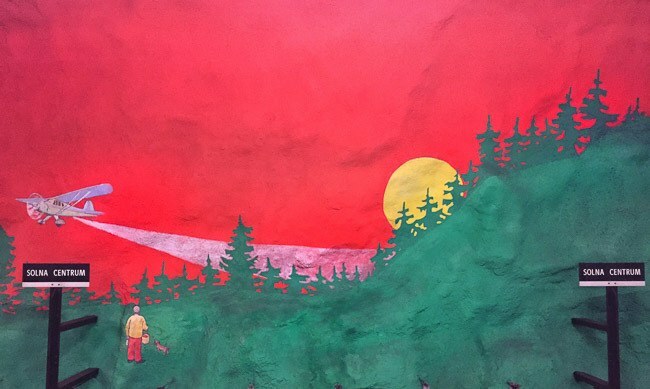 Street artists went to work decades ago and the result is totally cool and unique to Stockholm. Spend a late morning (avoid rush hour if you want decent photos) or a couple of early afternoon hours hopping trains to see a sampling of the underground art. Check the red, blue, and green lines for station stops at Radhuset, Solna Centrum, Fridhemsplan, Thorildsplan, and Universitetet. Explore more stations if you have the time! 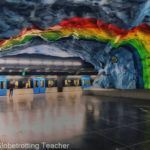 Use my step-by-step DIY Stockholm subway art tour guide as a reference for planning which stations to visit. A modern photography museum with poignant, provocative exhibitions that change throughout the year. The museum stays open later than other museums making it a great choice for the late afternoon and evening hours. You can browse the exhibitions at night and then dine and have fika in the restaurant upstairs. The Fotografiska’s vantage point along the water is a fantastic spot to admire the city views. As a fan of photography, I loved visiting this space. It’s popular with visitors and locals alike and consistently in the Top 10 sights to see in Stockholm. Pro Tip: For another Stockholm viewpoint, head up the staircase along the cliff across from the Fotografiska. From this part of Sodermalm, there are great vantage points to photograph a city panorama. 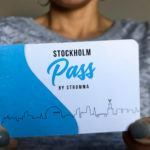 Save money on admission with the Stockholm Pass! I had a great stay a the Park Inn in Solna, just 10 minutes by subway from T-Centralen, Stockholm’s main train station. I saved money and earned Club Carlson points! Research and book more fantastic Stockholm hotels on TripAdvisor and Booking.com. 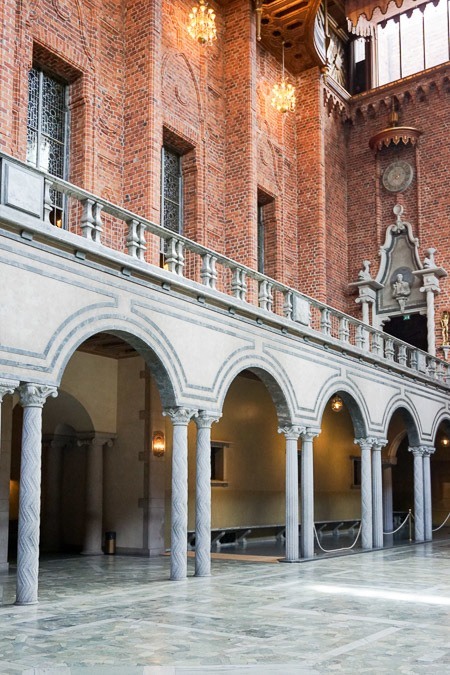 Save a ton of money on popular exhibits with the Stockholm Pass! 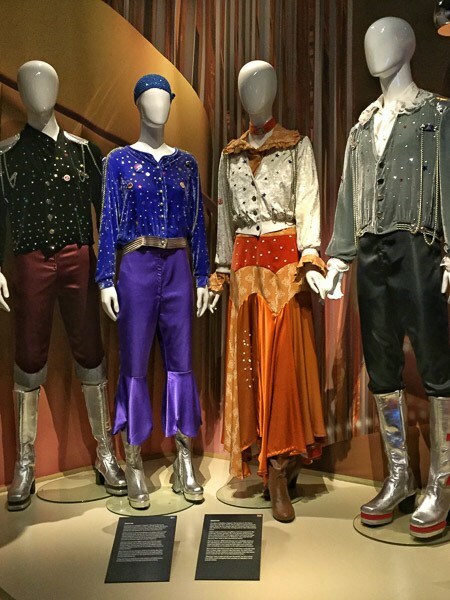 Located close to the Vasa Museum, the ABBA Museum is an interactive ABBA experience with everything from the actual costumes the group wore to exhibits about ABBA’s rise to fame to replica dressing rooms. You can even sing along in visitor-friendly recording studios and watch yourself later by entering an ID code from your entry pass! This museum does a great job of combining music history and fun! You also have access to the Swedish Music Hall of Fame, which is also located inside. After your visit, you can enjoy a drink at the ABBA-themed bar and restaurant upstairs. 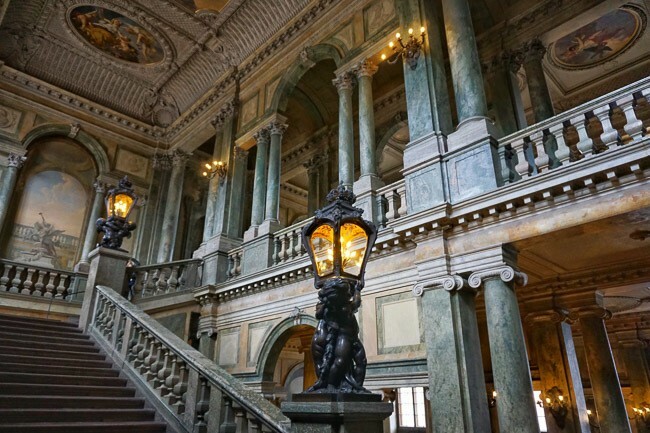 This classic Stockholm building is famous for its large halls, most notably the Blue Hall where the Nobel Prize Banquet is held and the Golden Hall with its 18 million mosaic tiles just upstairs. The building itself is a work of art. Pay attention to the details put into the walls, ceilings, and decor. Visitors can climb the stairs to the top of the tower, however, this was closed at the time of my visit. Stockholm City Hall can only be toured with a guide. When you purchase your entry ticket, you’ll join the next available public tour in your language. An absolute must see while in Stockholm! 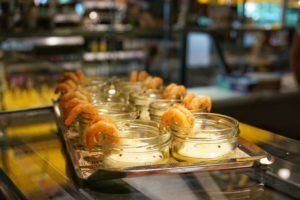 Stockholm Food Tours offers several different food tours that highlight both local cuisine, as well as the range of ethnic foods available throughout Stockholm. 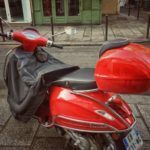 Some tours focus on a neighborhood while others are all about an experience. 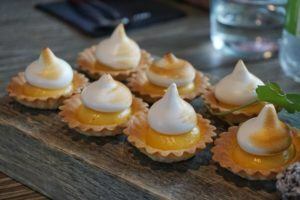 I took the Culinary Sodermalm Food Tour which featured the neighborhood’s diverse and trendy food scene. Tastings included Chinese, Italian, Indian, and Swedish bites with, of course, chocolate, sweets, and fika to finish. The guide was friendly, knowledgeable, and adapted the tour to meet everyone’s dietary needs. This was my one of my favorite tours in Stockholm. I highly recommend it as a way to go local and get to know Stockholm through its food. 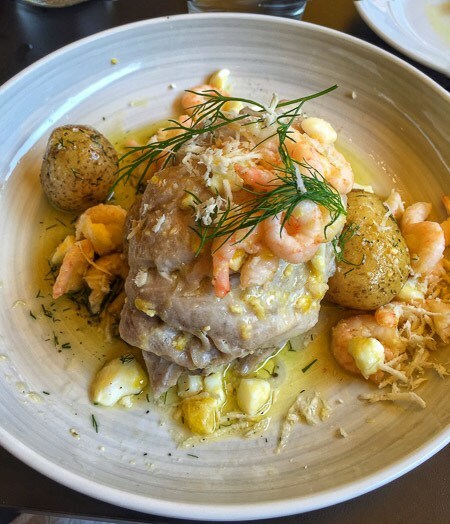 Pro Tip: If you don’t have the time or budget for a food tour, still make time to eat in Sodermalm. From ethnic cuisine to classicly prepared Swedish fish to sweet treats, Sodermalm is a foodie’s delight. Have you read Steig Larsson’s Millennium Trilogy beginning with The Girl with the Dragon Tattoo? The books were written and set in Stockholm, as well as other areas of Sweden. The Millennium tour retraces the steps of the lead characters, Mikael Blomkvist and Lisbeth Salander. Starting along Bellmansgatan and continuing into Sodermalm, the guide passes by the Millennium Office and where Mikael and Lisbeth lived. Along the way, the guide interweaves information and anecdotes about Steig Larsson’s life and influences in order to analyze the books further. I’d read this series of books before my visit to Stockholm. When I returned home, I reread the first book. Wow! The story sprung off pages with the images of Stockholm fresh in my mind. These tours are available in many cities around the world. 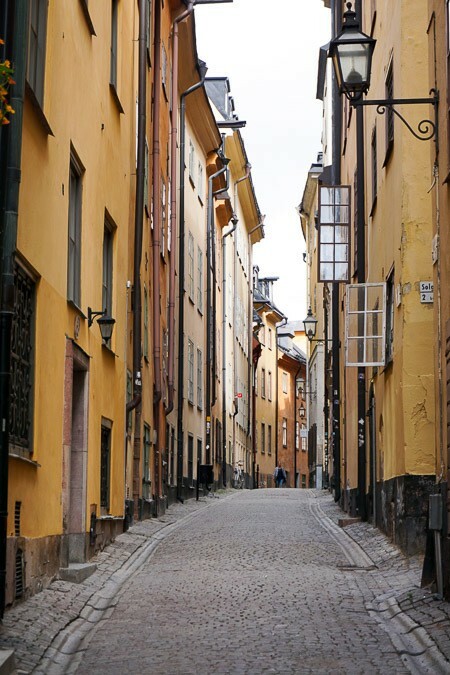 The Stockholm Free Walking Tours include a city highlights walk, as well as tours through Sodermalm and Gamla Stan. You don’t need a reservation to take part in the roughly 2-hour tours. Check their website for a complete schedule. Remember, if you’re happy with the tour, tip your guide appropriately at the end. 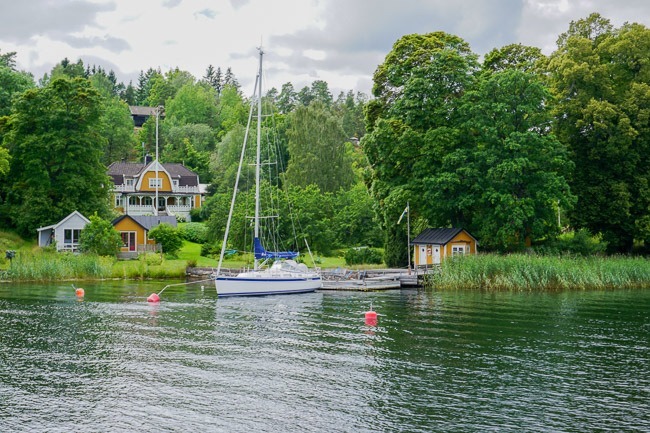 In the warmer months, Stockholmers retreat to the archipelago to enjoy the summer sun. The round trip 3-hour tour departs from Stockholm harbor and heads out to the islands in the archipelago closest to the city. The guide will narrate as you pass private homes and landmark sights. Getting out to the archipelago, even for a bit, gives you a glimpse of how the locals enjoy the natural beauty that is just steps from the capital. 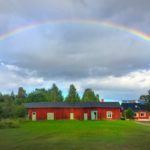 Before visiting Stockholm, I had no idea how integral the islands of the archipelago near Stockholm and along Sweden’s coast were to the Swedish way of life. The experience illustrates the Swedes love of the outdoors and their dedication to protecting the environment. 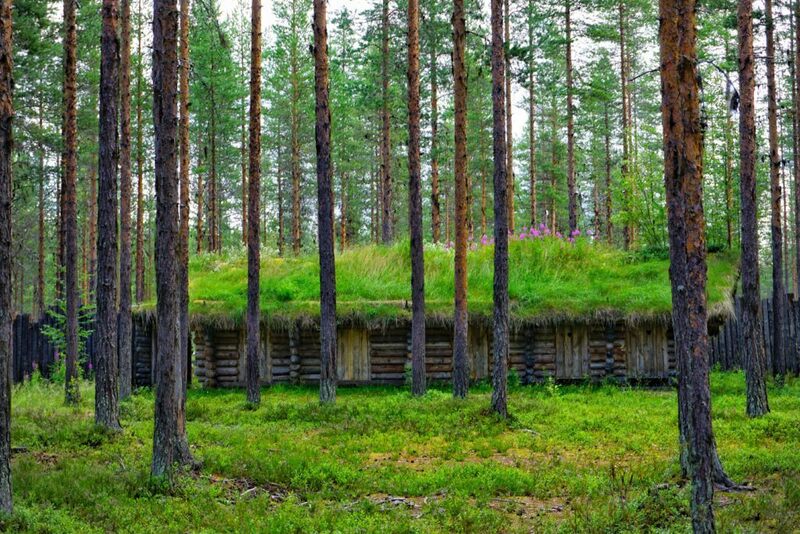 Head north to Skelleftea in Swedish Lapland. Regardless of the season, Swedish Lapland is spectacular. In summer when I visited, the pristine wilderness and craggy coastline offered every imaginable outdoor activity from hiking and boating to quad adventures and husky excursions. 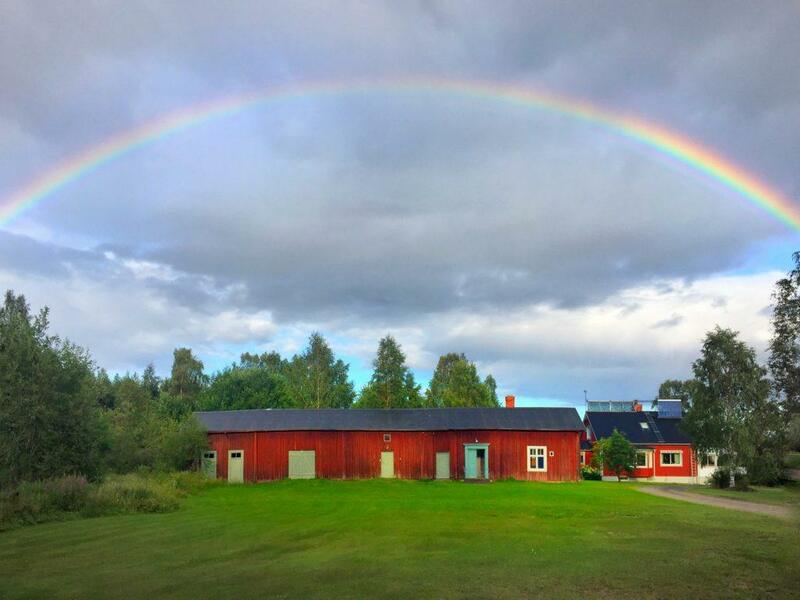 Prefer to just soak up Sweden’s perfect summer sun? 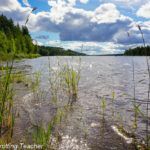 Picnic and relax on one of the archipelago islands in the Bay of Bothnia. I’m already thinking about a winter return! Sweden is a member of the EU but uses its own currency, the Swedish Krona. Credit cards are accepted everywhere, though. There is no need to have or carry large amounts of Swedish currency. In fact, some places do not accept cash. English is widely spoken throughout Stockholm and Sweden. You’ll have no problem communicating with locals. 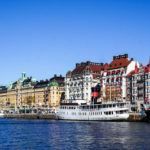 The Stockholm Pass is a card that can be used for over 60 popular sights, museums, and tours around the city, including the Vasa, the Royal Palace, the Fotografiska, the Royal Canal Tour, and the Archipelago Tour. 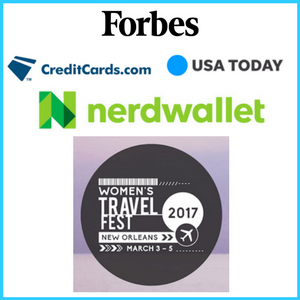 Buy a 1, 2, 3, or 5-day pass and save a ton of money! The more you see and do, the more you’ll save. Arlanda Airport is Stockholm’s main international airport. Several public transportation options exist for a seamless transfer into the city. Flygbussarna and Swebus run buses from the airport a few times an hour. Rides typically take about 40 minutes and drop you at City Terminal just next to T-Centralen, the central train station for commuter and metro trains. The Arlanda Express also runs speedy train service directly into T-Centralen. The express train is pricier than the bus transfers, but discounts are available by purchasing tickets in advance online or with bundle packages for multiple travelers. The train runs every 15 minutes and whisks you into the city in just 20 minutes. 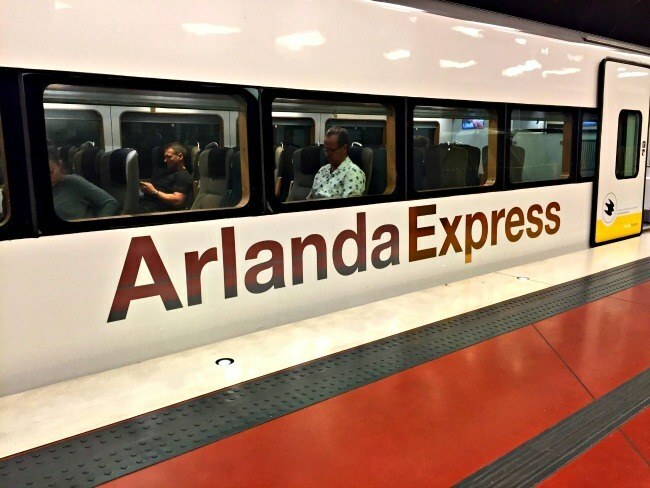 I took the Arlanda Express train for my visit to Stockholm and it couldn’t have been easier. If you’re coming from Gothenburg, consider doing a river cruise on the Göta Canal up to Stockholm. The journey is on a historic passenger ship and allows you to see the Swedish countryside over the course of 4 days. While in Stockholm, the metro is known as the Tunnelbana, or T-Bana for short. It’s convenient and simple to navigate. Buy a 24-hour or 72-hour travel card if you plan to use the T-Bana as your primary source of transportation while in Stockholm. It’ll work out cheaper than purchasing single-use tickets. The travel card can be used on buses and some ferries, as well. Stockholm has taxis, however, they’re extremely expensive. Considering how convenient and easy Stockholm’s T-Bana, buses, ferries, and trams are, there’s hardly a reason to justify spending so much to get around. I never found it necessary to take a taxi in my week-long Stockholm visit. So, have you visited Stockholm? What’s your favorite thing to do? 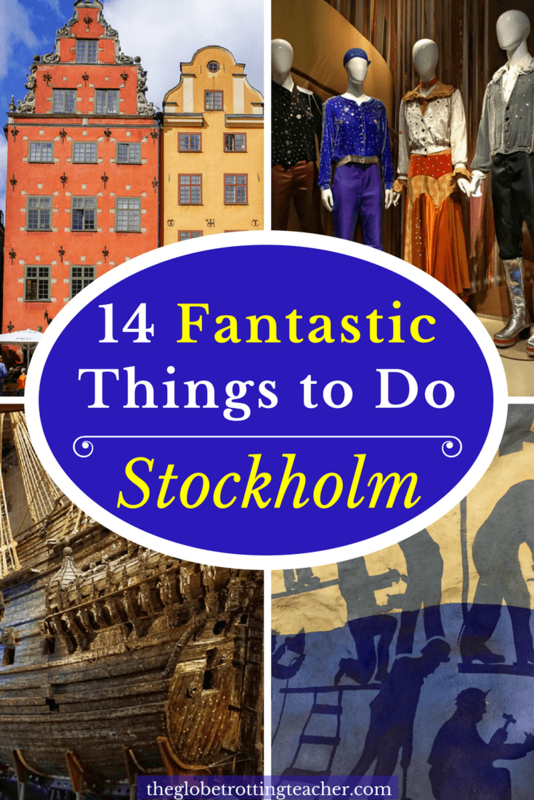 Is Stockholm on your travel list? I was a guest of VisitStockholm, but as always have shared my experiences honestly. I am really new to drinking coffee, so I love the idea of sitting down for (having?) fika. The culture around coffee is always so individual in every country and I imagine it would be a great way to have a nice chat with locals! I loved Romania, Loredana! I can’t wait to go back and explore more. Stockholm is great and I hope you and your husband make it back soon. How in the world did I miss the Underground Art Gallery? It looks super interesting! Stockholm has so much colours which gave so much life to your pics! Oh my goodness, Trisha! You must do a DIY tour next time you’re in Stockholm. Very cool. Such a great city. Been a few times (including TBEX earlier this year) and always have fun. Lots to see and do. We always end up eating way too much at The Flying Elk, then drinking too many beers at Akkurat and Oliver Twist afterwards. Good tip on the cash thing, as we found that lots of cafes especially have stopped taking cash, which I love personally. The only downside of Stockholm is the cost..but not much we can do about that! I was in Stockholm in March and I did some of the things you mentioned. I also visited the indoor museum which is one the largest open museum in the world. 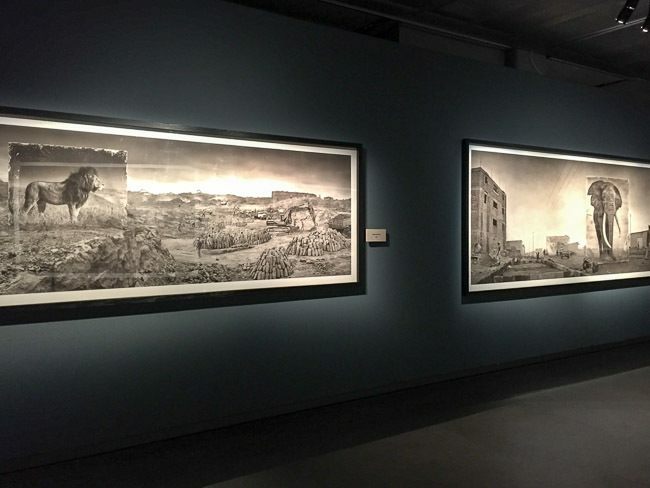 Did you know the Stockholm’s underground is the biggest art gallery? Hi, Mansoureh! So glad you enjoyed Stockholm. Yes, I did know that Stockholm’s underground is the longest art gallery. Such a cool distinction, right?! We had an evening in Stockholm on the way to Kiruna. We are Aussies too and we’re so impressed with the Vasa Museet. That’s awesome…an Abba museum…lol! That must be a lot of fun. It’s so interesting to read about “fika.” I love how different countries celebrate this “coffee” time. I’m in the Philippines now and it is called “merienda” 🙂 Lot’s of delicious treats! Would love to visit Stockholm sometime, now that I have a good sense of the fun activities to consider. Thanks for sharing. Thanks for reading, Rosemary. I think the US needs a fika or merienda time. How nice it is to just slow down. Hope you can visit Stockholm soon. Will be leaving in 2 days for Copenhagen and Stockholm. I am/we are excited to see Stockholm, and thank’s a lot for sharing and teaching on how to enjoy our stay. We will try to follow your advises. We are from California, and we drink our coffee in a rush. Fika will be a real treat for us to experience.